Week 3 Post-Op Right TPLO — lady in shred. We had Kaz's 3 week check-up on Thursday and it went pretty much as expected. 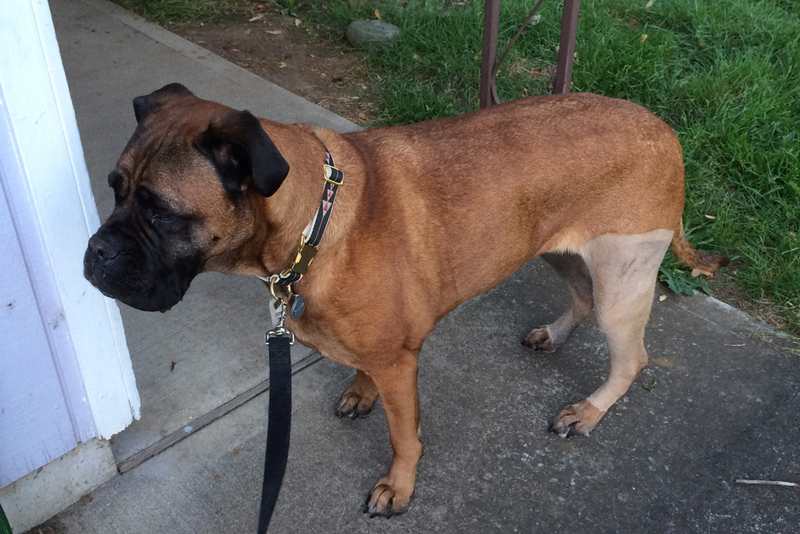 Dr. Lozier is pleased with how the incision is healing, but is a little concerned about some "thrusting" that is still happening in her right leg. The "thurst" is a sign of instability in her leg and it is what causes her to walk more bow-legged/pigeon-toed. The TPLO (and femur straightening that we opted out of) are supposed to minimize this. Dr. Lozier thinks that if we build up the muscle on her leg, it will eliminate the thrust. Everything else is healing well. Dr. Lozier really gets physical with these check ups and manipulates the legs a ton. Kaz didn't seem to mind and he said that she wasn't showing any signs of pain or discomfort. He said her left leg is great - no muscle deterioration or thrusting. He also said she was sitting very well, which I thought was a strange annotation. We had them check a matted spot of fur on her back, which turned out to be a hot spot. They shaved the hair around it and put some anti-septic spray on it and told us to keep an eye on it for the next couple days (and make sure she doesn't lick it). To build up the muscle in her right leg, we are supposed to take Kaz out for longer "walk-and-sniffs", 10-30 minutes, up to three times a day. The walk-and-sniff is not supposed to be long distance (under an 1/8 of a mile), but should just be a few steps followed by some sniffing, then a few more steps, and a little more sniffing. 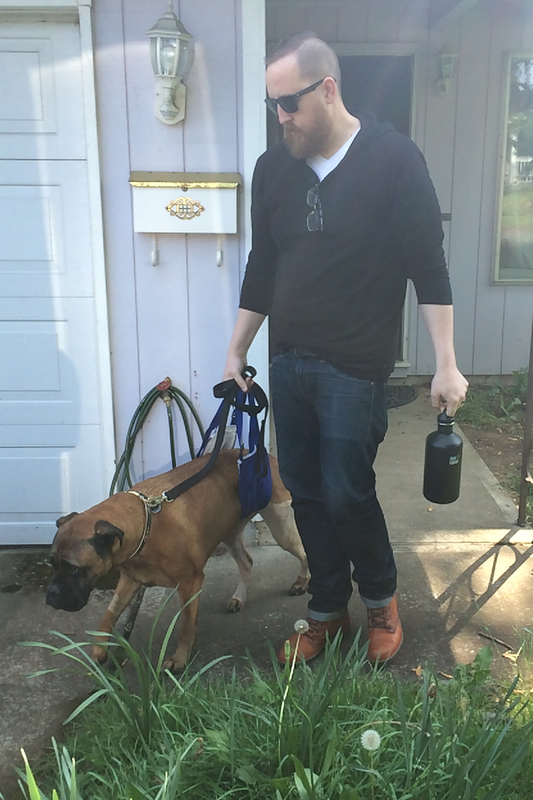 We tried this yesterday and, of course, Kaz just wanted to power walk down the block. I tried to keep her going slow and force her to stop every few minutes, but she didn't seem so interested in the stop and sniff part. I think she's just been cooped up too long that she's ready to go. She looked kind of sore last night and today she is limping a little worse, so I may have over done it. Overall, I think we're feeling pretty good about her progress. She is still walking so much better than when she first injured it and it's such a relief to know she's not in pain. We'll be following up with Dr. Lozier again in another 3 weeks.